The Diplomat’s Luke Hunt speaks with the author of Hun Sen’s Cambodia. Hun Sen’s Cambodia is a timely and well-written read that successfully captures the last 15 difficult years of peace and adds the much-needed context of the previous three decades, when Cold War politics and the conflict in Vietnam War helped produce the nightmare of the Khmer Rouge. 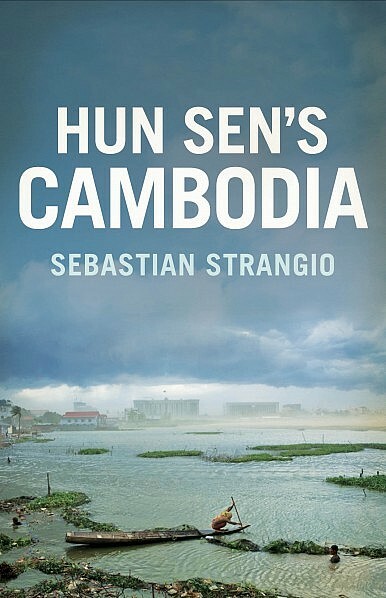 Written by Australian journalist Sebastian Strangio, it deals with the unabashed Khmer greed and corruption that have flourished under a system of patronage established by Hun Sen, who as prime minister has steered Cambodian since the mid-1980s. Hun Sen’s Cambodia will become a must read for every academic, foreign aid worker and businessman embarking on a foray into Cambodia. The Diplomat’s Luke Hunt recently spoke with the book’s author. A common theme that emerges from Hun Sen’s Cambodia is how incredibly mean spirited people in power and those with money and connections – regardless of their politics – can be. This was highlighted by the extent of land grabbing and an intolerance of political dissent, even in its most mildest of forms. Did you find this exasperating? Were there any redeeming features in the government? It is certainly exasperating how little the current political system has done for ordinary people. However, it’s far from clear what moral or political conclusions to draw from this. In a qualitative sense, what we see under the ruling Cambodian People’s Party (CPP) isn’t markedly different to what has come under previous Cambodian governments – under Lon Nol, and under Norodom Sihanouk. The difference is that the coming of peace and political stability in the late 1990s opened up whole new vistas of personal enrichment and patronage that were closed off to previous governments. These are now quickly approaching the limit both of Cambodia’s resources, and of what ordinary people are willing to tolerate. Within the system there are many government officials who want to create a fairer and more just country, but the patronage system has a strong cyclical inertia; like a natural organism it swells and enlarges, beyond the control of any one person. Why do international institutions tolerate corruption and bullying in a country where they have controlled many of the purse strings for than two decades? The idea of the “international community” is a fiction and a cliché. Author David Rieff has described it as “a way to conceal the bad news about the present in septic sheets of piety about the future.” And the bad news about the present in Cambodia is that there is no unanimity when it comes to aid. The agenda of each foreign government and donor agency is set in far-off capitals, and reflects a separate set of institutional, moral, political, economic and strategic interests. All this has allowed Hun Sen to do what he has done so successfully to his domestic opponents – play them off against one another, while slowly changing the terms of the engagement. Non-government organizations (NGOs) have done much to help rebuild Cambodian infrastructure but they are still here in the same numbers as they when in the early 1990s. And the government still requires them to do much of the heavy lifting in areas where money has to be spent, such as health. Does this mean NGOs have failed? Should there be a change in criteria in how NGOs are judged in terms of success and failures? Well, if you take the tragic view of humanitarian work – that human suffering must be alleviated – there’s a strong argument for continuing to deliver medicines and food and education to Cambodians who need it. Experienced aid workers are frequently torn by this dilemma: pull out and let needy people suffer, or stay and prop up a broken system? In this sense I think it’s fairer to say that the model of development is broken – or was vastly oversold in the first place. At the end of the Cold War there was an expectation that development could be advanced through the simple importation of “known” solutions: free markets, human rights, parliamentary democracy. This was what the “end of history” was all about – all the major political questions had supposedly been settled. My research has led me to believe that these assumptions were not only mistaken in Cambodia, they were mistaken in general. The result in Cambodia has been a mirage of democracy and a labyrinthine “development complex” that has entrenched dependency and created a lucrative merry-go-round for NGOs – some good, some bad, some ugly. Are NGOs truly independent or have they tarnished themselves by siding with political parties – in particular the opposition Cambodian National Rescue Party (NCRP)? Cambodia has never had a loyal opposition and the rulers of the country have generally identified their own faction’s fortunes with the national interest as a whole. For the CPP, “non-government” has always been code for “anti-government.” A similar attitude prevails within the CNRP – and among a certain number of Cambodian civil society groups. Agitating against Vietnam is perhaps the most problematic aspect of this: for anyone claiming to be a human rights activist it poses a stark contradiction. Even for the most professional organizations, Cambodia’s political polarization poses huge challenges. After all, neutrality is largely a matter of perception; if you’re perceived by the government as being pro-opposition, and by the opposition as being anti-government, then that will condition much of the work you do in Cambodia – for better or worse. Hun Sen is often blamed for every ill which strikes his country, in particular the corruption that NGOs argue afflicts all levels of Cambodian life. To be fair, Hun Sen often claims control over all aspects of Cambodian life, arguing that without him the country would descend back into civil war. How credible is this argument? How much control does he really have? Hun Sen’s arguments about a return to civil war are mostly bluster, intended to play on the fears and traumas of Cambodians who have lived through decades of upheaval. But in one way they are oddly accurate. The truth is that the country’s current stability rests not on any deep social consensus, but on a fragile pact between powerful individuals. The nature of the political system – fragmented, dispersed, personalized – makes it highly adaptable, but also highly unstable. Civil war is almost certainly an exaggeration, but a return to factional fighting à la July 1997 is certainly conceivable if the balance of power were suddenly upset. The main point I’m trying to make is that despite his public “strongman” persona, the prime minister has a lot less control than is commonly assumed. He’s in a curious position – the main beneficiary of a system that is beyond his direct control. This is no excuse, of course: If Hun Sen claims credit for the country’s progress, he also has to bear responsibility for the failures. Lawyers representing Cambodians have launched legal action at the International Criminal Court in The Hague alleging Cambodia’s “ruling elite” have committed crimes against humanity through land grabbing over the last 14 years. Are these charges justified? Land-grabbing is a serious issue in Cambodia, but I’m a little skeptical about the ICC case. No individual defendant is named, only a vaguely-defined “Ruling Elite.” If the case is sound, why not name the defendants? One might also argue that its legal validity is beside the point – that the purpose of the case, which the CNRP helped initiate, and which stands virtually no chance of proceeding to trial, is to play into Cambodian domestic politics. As you would expect, the lawyers who filed the complaint claim to stand in the realm of pure law – as if law can ever be walled off from politics. The wealth gap in Cambodia has become a worrying feature of the political landscape. Protests over land grabs, menial wages and low standards of living among the poor are almost a daily affair. What is the worst-case scenario for Cambodia if this continues? The July 2013 election campaign and Sam Rainsy’s return from self-exile triggered an explosion of discontent from ordinary people who have enjoyed few benefits from the current system. Now that the post-election deadlock is over, and the opposition have left the streets, I expect to see protests fade, but the long-term challenges remain: Can the CPP address the contradictions of its system while excluding the opposition? Can the government give enough back to ordinary people that it retains power at the next election? I can’t speak of worst-case scenarios, but right now it seems as if the needs of the system and the needs of the people are pulling in opposite directions. Media reports about Cambodia are often negative, dominated by corruption, the culture of impunity and its attractiveness as a place for unsavory characters. Is this fair? Especially when compared with neighboring countries where the press is not free, democratic elections are not held and dissent often results in lengthy jail terms. In my book I argue that Cambodia’s openness is a mirage – a cosmetic concession that does little to undermine the political and economic interests of those in power. But in certain times and places, the freedoms are real. The reason there is so much negative reporting on Cambodia is precisely because foreign journalists and human rights monitors can work here so openly. What other country in the world offers de facto residency on demand, without paperwork? We all benefit immensely from this freedom, writing what we like and living very comfortable lives in Phnom Penh, all of which shows how immensely clever and adaptable the currently political system is. It is a sponge for dissent. 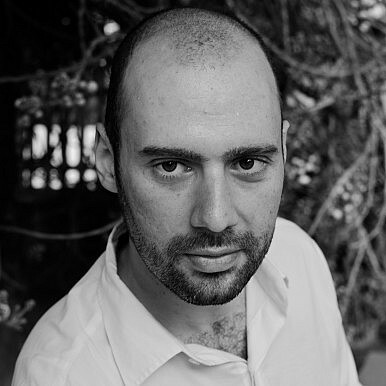 Sebastian Strangio is an Australian journalist based in Phnom Penh, covering the Asia-Pacific. Hun Sen’s Cambodia is available now from Yale University Press. What’s Behind the Release of Cambodia’s Opposition Leader? Hun Sen Scores Victory in Cambodia’s Commune ElectionsHun Sen’s Rule in Cambodia Faces Test With Upcoming PollsWhy the US Must Forgive Cambodia's War DebtWhat’s Next for Cambodia’s Sam Rainsy?Why Did Cambodia's Opposition Leader Quit?